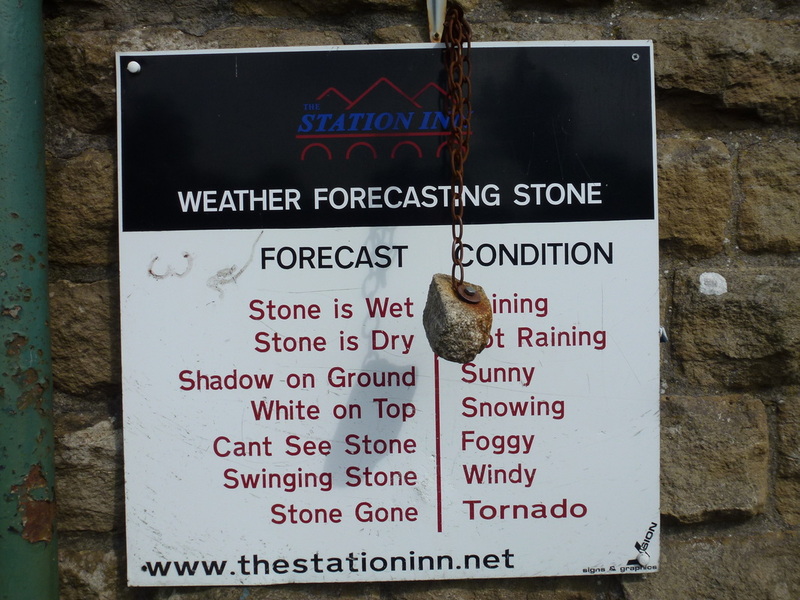 Despite the Station Inn being located on a fairly busy B Road between Ingleton & Hawes we had a very good nights sleep. 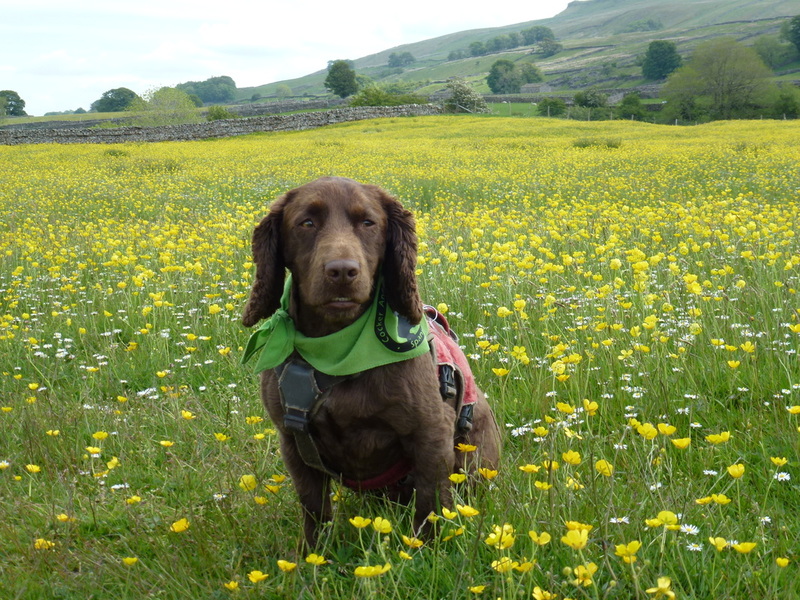 We stayed here on the Dales Way last year and the pub continues to provide good facilities at excellent value for money - it isn't The Ritz, nor does it pretend to be. 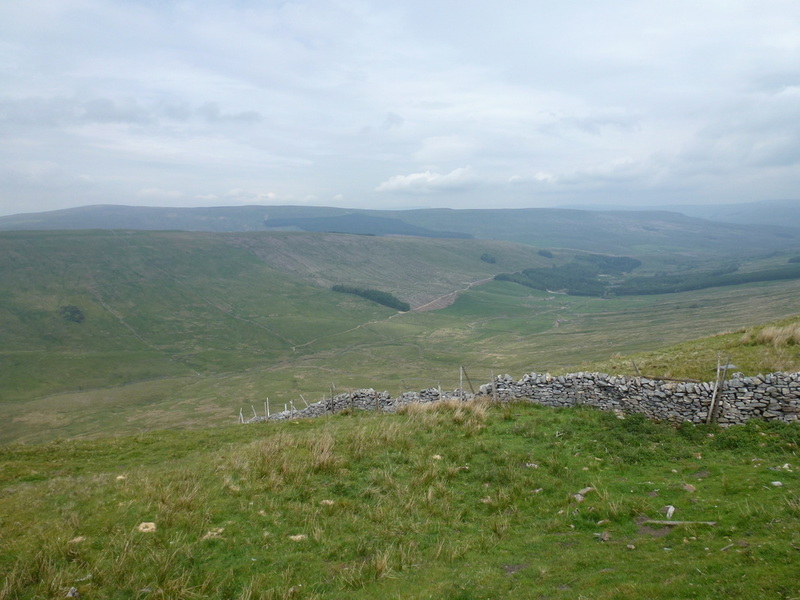 At breakfast we got chatting with two walkers who were on The Dales Way who were off to Dent. 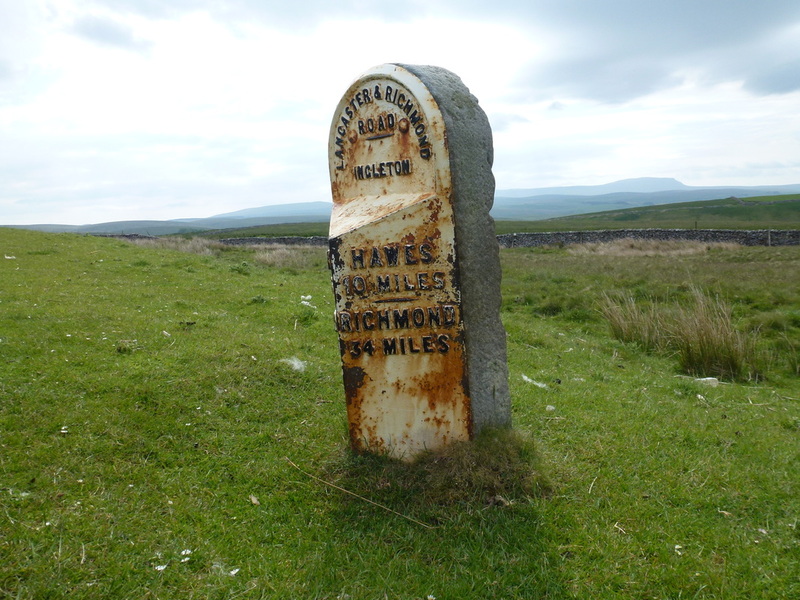 For those people who feel a bit of trepidation in undertaking a Long Distance Walk, at 80 odd miles The Dales Way is a nice lead in and is not overly difficult. 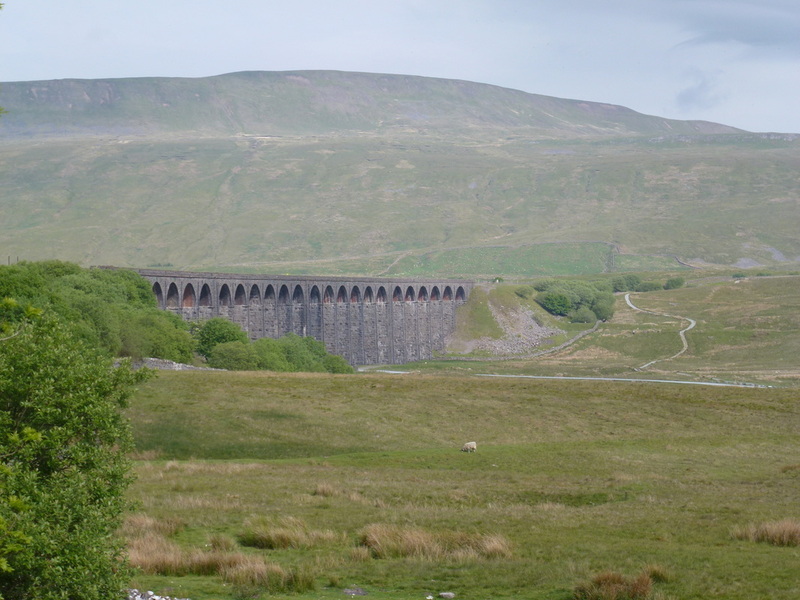 A link to our Dales Way blog is here. 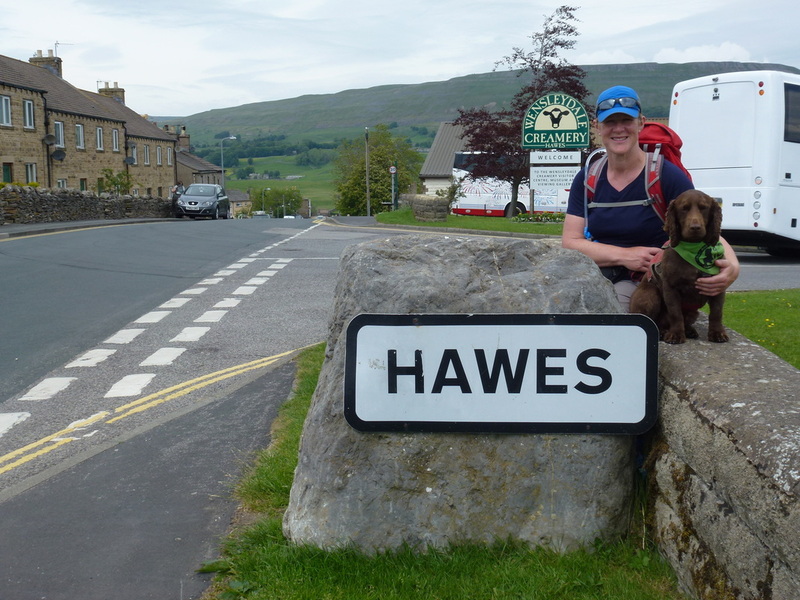 The walk over to Hawes today was a shortish one of 11 miles therefore we took our time sorting ourselves out and did not leave the Station Inn until nearly 1000. 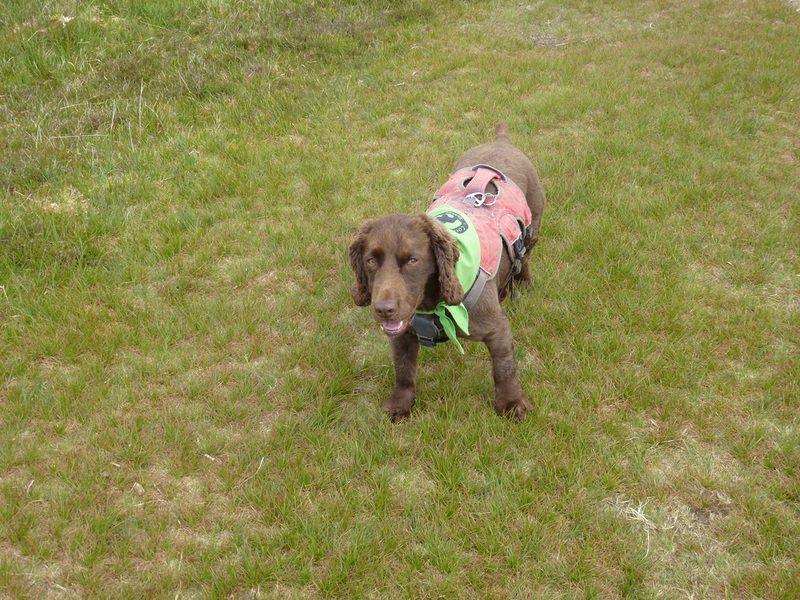 The weather today was forecasted to be mild and overcast with some sunny periods in the afternoon and so it proved. 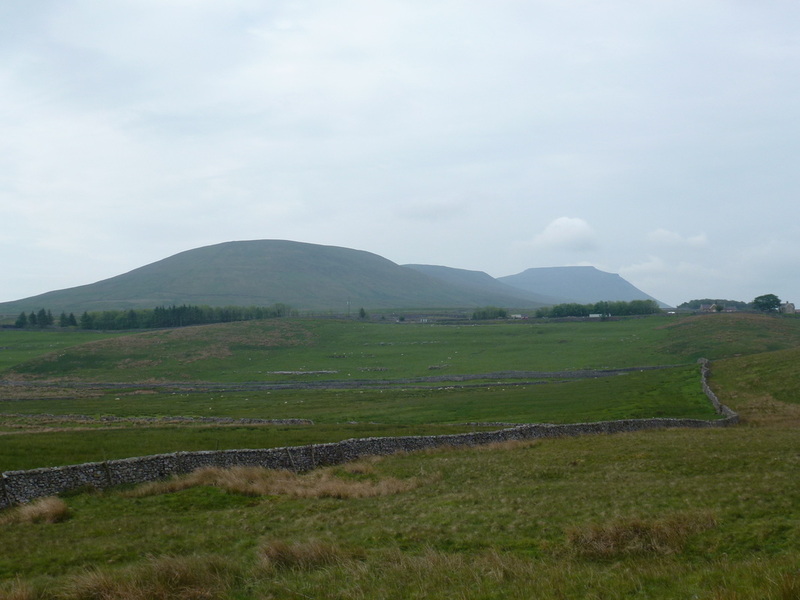 As we had come off route yesterday we were now faced with a long and dull trudge along the side of the B6255 before joining The Dales Way at Far Gearstones. 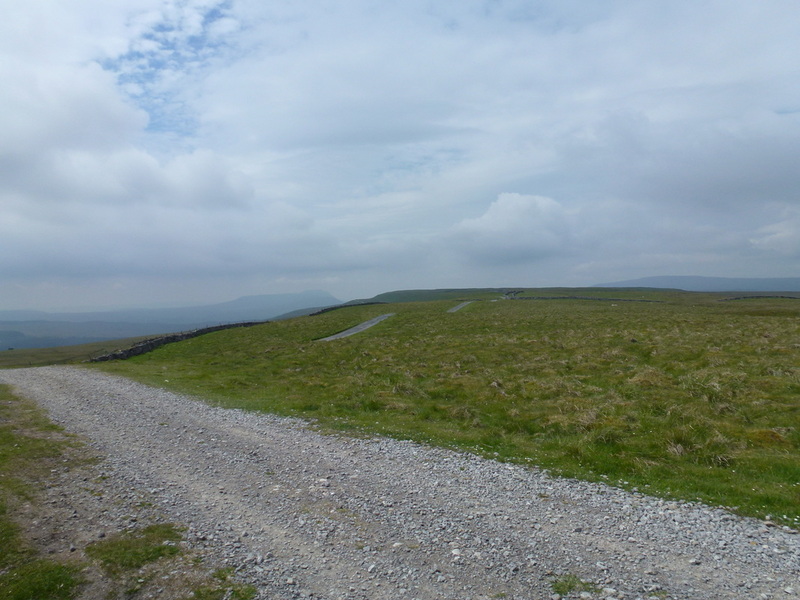 The track we now found ourselves on was the Cam High Road which is an old Roman Road between Ingleton and the Roman Fort at Bainbridge - recently there has been much unrest as the road is now used in part by lorries to extract timber from nearby woodlands. This was very much in evidence as several lorries passed us very quickly and it is easy to see why the road has become the dusty mess that it now is. 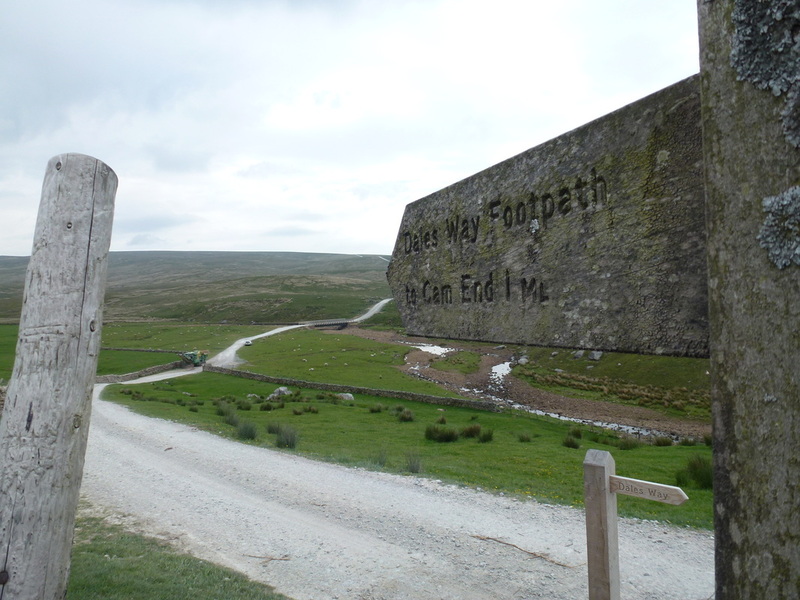 Subsequently we reached Cam End where the Pennine Way comes in from the south. 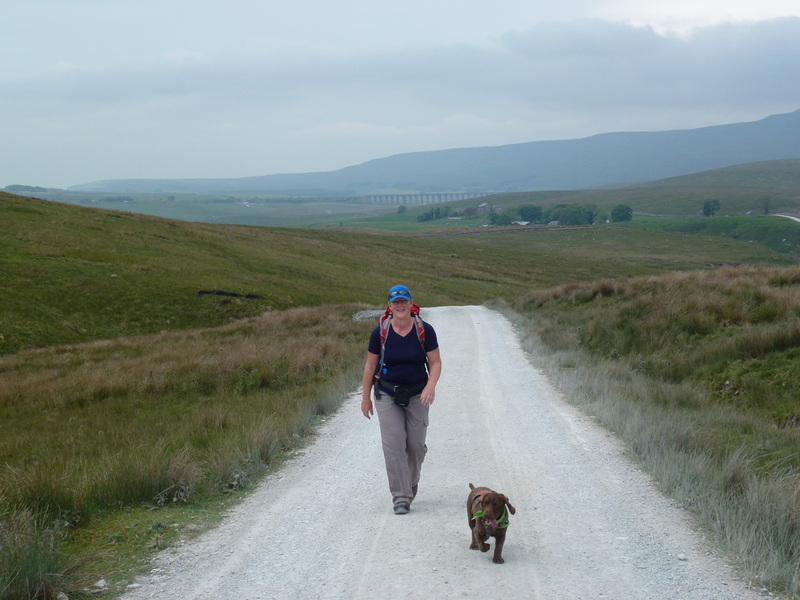 ​It felt good to be back on the route and shortly after leaving Cam End we bumped into 3 ladies who were walking The Dales Way and we had a brief chat - they were off to Dent from Oughtershaw and seemed to be really enjoying themselves judging by their excited chatter. 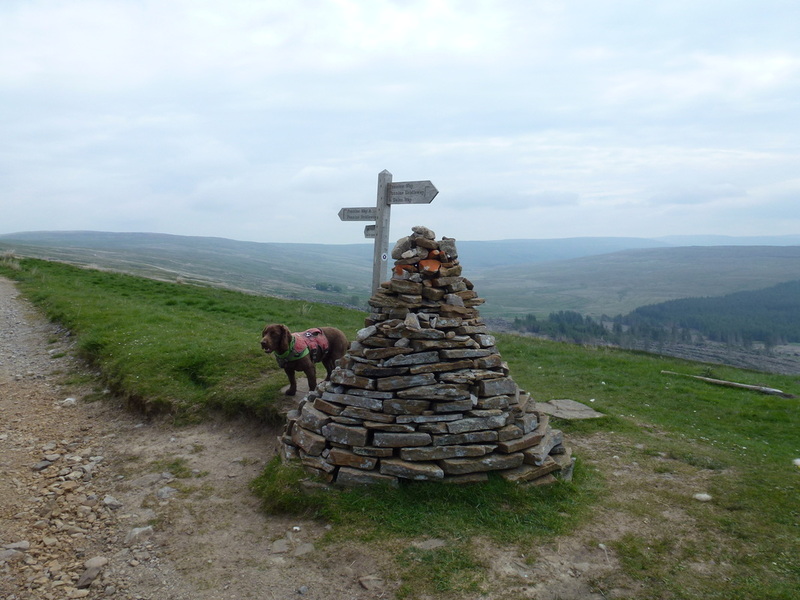 We reached the cairn where the Dales Way & Pennine Way meet and carried on along the Cam High Road to reach Kidhow Gate - an old drovers meeting place. 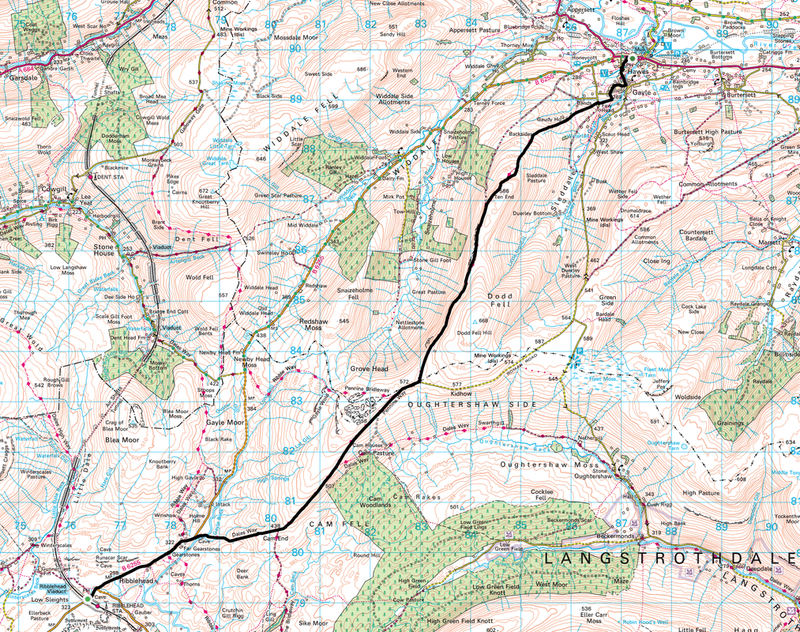 We left the Cam High Road at this point and headed North East over the shoulder of Dodd Fell - we were now on the West Cam Road which is an airy track giving glorious views down the Snaizeholme Valley. This was good moorland walking and improved further as we left the West Cam Road and joined a grassy path over Rottenstone Hill. 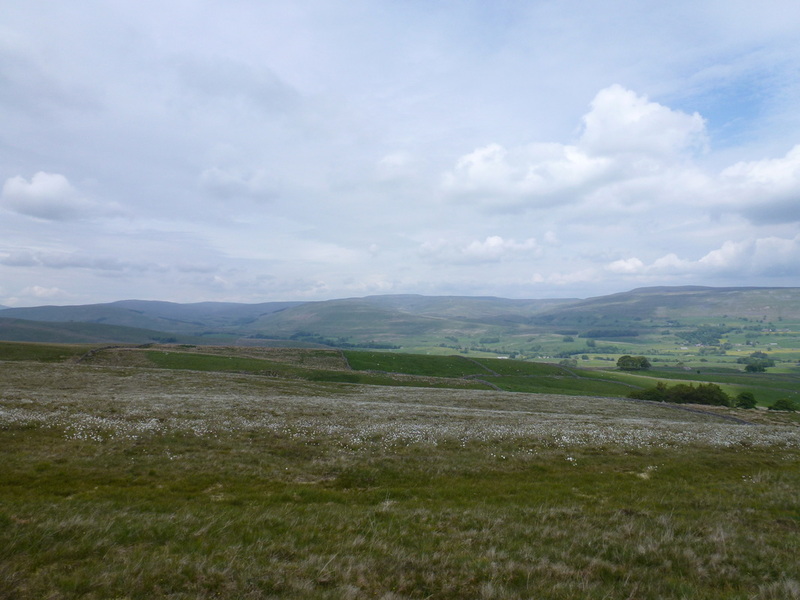 We could see the market town of Hawes clearly in the distance and it was just a question of reaching Gaudy House Farm, joining Gaudy Lane and walking over a couple of fields to reach the village of Gayle. From here we made our way to the famous Wensleydale Creamery to partake in some Cheese Scone quality control before checking in at our B&B, The Bulls Head. That night we made the short journey a couple of doors down to The Crown to enjoy a delightful evening meal washed down with a couple of pints of Old Peculier. Another great day out. Helen looked after us very well at The Bulls Head. We were in the Deepdale Room which is underneath the hotel in the cellar and has its own separate entrance. It has no natural light and therefore is not for everyone however we loved it. 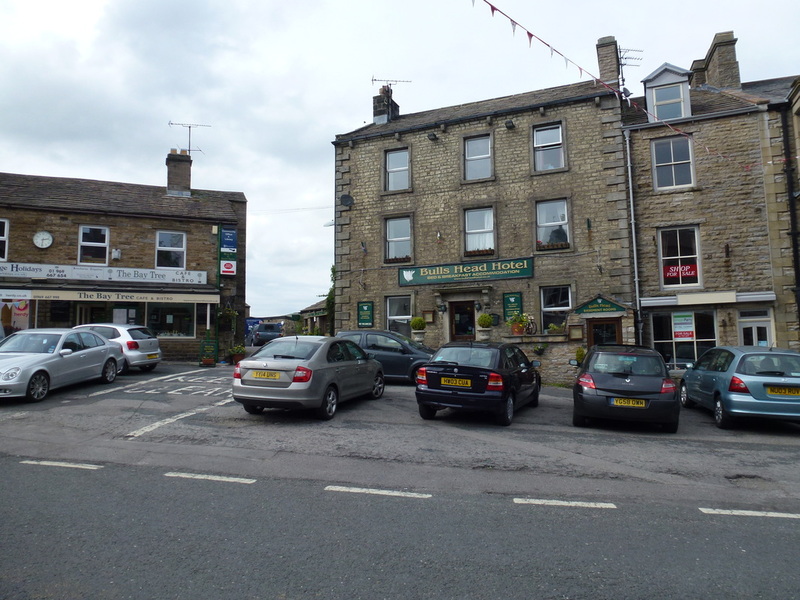 We ate in The Crown which is a couple of doors down - good food and beer.